Skincare is quickly becoming one of the most popular areas of grooming and it’s easy to see why. A simple routine can help you get rid of embarrassing redness, dryness, breakouts or wrinkles. 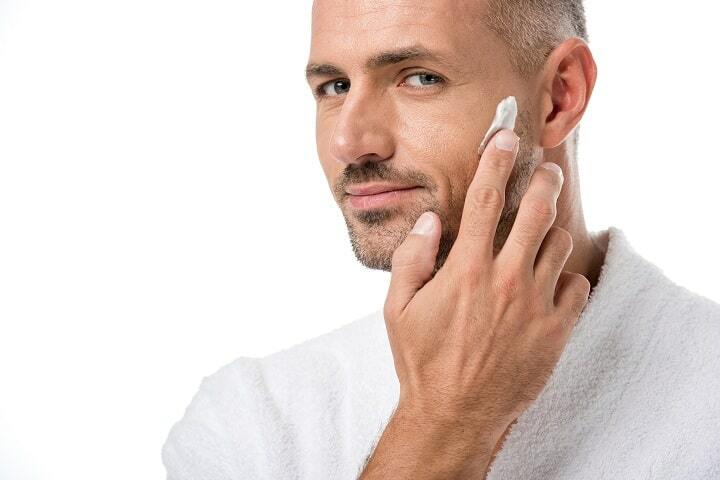 And for men, it’s particularly useful without the aid of cosmetics to cover up any stubborn spots. The modern man is rapidly becoming better at grooming and maintaining his appearance. Whether he’s taking the time to research the best beard trimmers or deciding between different undershirts for men, the beauty industry is finally starting to appreciate men as customers just as much as women. 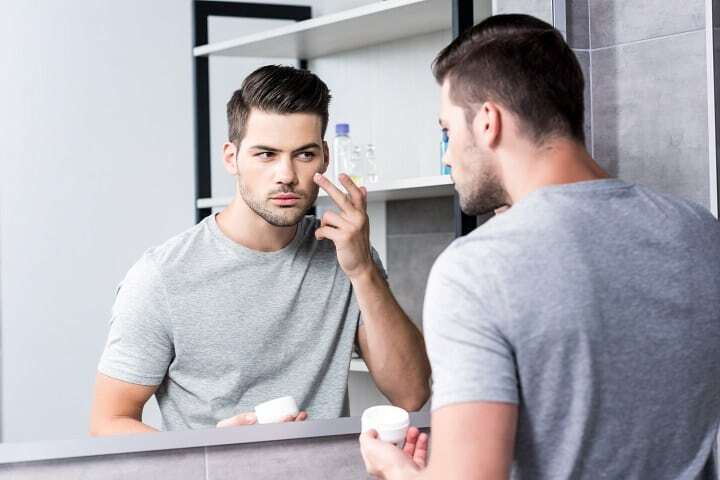 In this guide to the best skin care products for men, we’ll show you what to look for (and what you should avoid) in a great face wash or lotion. Your skin is the largest organ in your body, so it’s important to honor it for all it does by taking proper care of it. Cleansing: Clears away any residual dirt, grime or oil to allow your skin to breathe properly and prevent acne. Correcting: Serves to target and alleviate discoloration and redness for a more even complexion. Hydration: Keeping your skin hydrated can be a challenge if you live in a dryer climate. Like the rest of your body, your face needs to be moisturized regularly to avoid problems such as itchy or dry skin, redness and acne. Protection: Sun is one of the body’s fiercest enemies. Not only can it cause premature aging, but too much exposure to UV rays can cause major health concerns such as skin cancer. By using protective measures before exposing yourself to excessive sunlight, you can slow the skin’s aging process and lower your risk for certain diseases. There is so much variety in today’s market that there is a perfect product for every skin type. However, not every product out there has your best interests at heart – you’ll need to pay attention to labels and maybe even read some reviews first. The ideal product should always avoid disrupting and/or irritating your skin further. 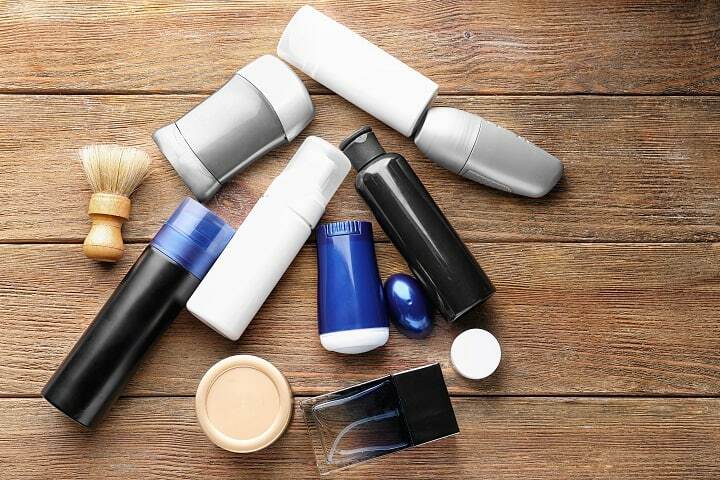 While certain objects may have a short purging period in which they are ridding your skin of impurities, they should never be causing massive breakouts, itchiness or pain. Many in the field know how serious the threat of UV rays is when it comes to your skin. Therefore, many of the best products also contain SPF to shield your cells from the harsh exposure to the sun. When it comes to your body, it is usually best to go with a line that utilizes the best ingredient of all – nature. Despite the immediate gratification, it is best to avoid synthetic chemicals whenever you can. Oftentimes, many natural products work just as well as the synthetic and with much healthier results. You can just as easily find a nice smelling face wash without the artificial fragrance added. These products aren’t just better for the environment – they’ll be much gentler on your skin than a harsh chemical concoction. When it comes to any form of self-care or beauty routine, the first crucial step is to analyze and understand your specific skin type. Until you know your skin’s texture and problem areas, you won’t be entirely equipped to find the best product for your particular needs. Much like a person with a dry scalp searching for shampoos for getting rid of dandruff, you need to know what your skin needs before you can purchase the right product for it. As stated before, it is important that you maintain balance when it comes to hydration. However, some men may find that their skin overproduces oil to the point where they are experiencing frequent breakouts. The best products for oily types are the ones that regulate oil production without drying the skin out in the process. This type of skin is often accompanied by a flaky, itchy quality that can also feel tight after washing. Products for those with dry skin need a strong moisturizing component to restore them to healthy hydration levels. Sensitive skin is prone to itchiness or redness after a skin care regimen. Those with this skin type may want to look for soothing ingredients such as aloe vera or tea tree oil to calm any inflammation. Normal skin refers to that with a relatively balanced pH level that produces just enough oil. Those with normal skin may want to find products that focus on other problem areas, such as tone and discoloration. The combination means that certain areas produce more oils than other parts. For most people, this is in the T zone, which includes the forehead, nose, and chin. A good rule of thumb for combination type is to seek out products that focus on cleansing without stripping the skin of all its oils. Once you have discerned the type of skin you have, the next step is to develop a routine or regimen. Proper care requires a bit more research than shopping for something simple like socks for men. You won’t need all of these products – the ones you do need will depend on what your problem areas are. As an absolute must, everyone needs a cleanser. A cleanser is simply used for washing your face and ridding your skin of all dirt and impurities it may be exposed to throughout the day. Cleansers should be used at least once a day, preferably right before bed, as that is when your skin works diligently to heal itself. Another essential item, a moisturizer’s main goal is to maintain the pH and hydration levels. For those with dryer skin, a more intense hydrating moisturizer is the way to go, whereas, for those with an oily complexion, an oil-free version may be up your alley. For men who are concerned about wrinkles or frown lines, this is an excellent product to have in your routine. Natural ingredients in anti-aging products help promote elasticity in the skin and also help it be more absorbent. An essential product for those with high turnover, this is a product only meant for use every 2-3 days (or just once a week if your skin is sensitive). An exfoliating product provides a deeper clean and helps scrub the face clean of any lingering dirt or other pollutants. So yeah, not as easy as picking out the best wooden beard comb or toothbrush, but doing your research now is going to save you some major headaches (and not to mention money!) down the road. It’s important to familiarize yourself with common skin care ingredients and research their effects. By developing this habit, you will also equip yourself with knowledge when shopping for other things like natural shampoos for beard care. 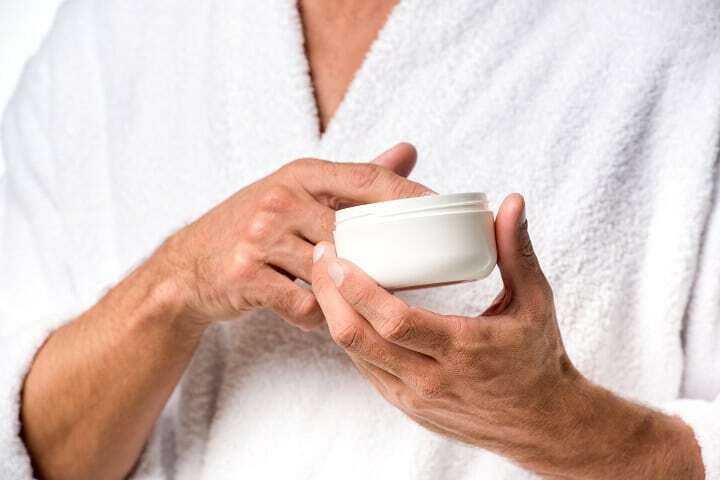 In order to stop a beard itch from occurring, you’ll need to know the best ingredients to achieve this or it may take you much longer to yield the results you want. Skincare is no different. There’s a seemingly endless list of skin care ingredients out there, but here are just a few that you should look for and what they do. Also known as beta-hydroxy acid, salicylic acid is mostly known for its exfoliating properties. It is best at removing dead particles and can improve the tone and texture of damaged skin because it can deeply penetrate the pores which is often seen in products for acne concerns. However, be cautious if you have very dry skin – salicylic acid might dry it out even more. This ingredient is best for normal and oily skin types. Retinol is the main ingredient in most anti-aging products. Packed with vitamin A, retinol is a key component towards promoting elasticity and pigmentation. Retinol helps in several key areas including smoothing fine lines, evening out tone and regulating hydration levels. Often accompanied by vitamin C, this ingredient strives for optimal penetration in the pores. Its best use is for treating wrinkled skin and many view this ingredient highly valuable for its anti-aging properties. If you see any of these on the label, we suggest putting it back on the shelf. Parabens are a variety of chemicals that are typically used in products to extend their shelf life. Parabens are sneaky, as they tend to be in nearly every bath product even apart from skincare such as shampoos and body wash. They disrupt the body’s natural hormones and should be avoided if possible. While it isn’t the worst additive in the world, oftentimes companies will add in artificial fragrances to disguise other chemicals that may cause an allergic reaction or other adverse reactions. Found in sunscreen products, these can do more harm than good when trying to protect skin from harsh rays. They can often cause dryness and irritation, so it’s better to avoid these and opt for products that have zinc instead. As stated before, the first step when looking for a product is to evaluate your skin type and your problem areas. Once you have done so, start looking for products that have ingredients that will help in eliminating your problems. Products with a moisturizing component are the essential part of a regimen for those with dry skin. Primarily meant for hydration, moisturizers can tackle even the driest of skin while also promoting other aspects as well. These products work in slowing the aging process by utilizing hyaluronic acid to help reduce even the most stubborn of age lines. Search for products that include hyaluronic acid, as this is the main ingredient for stimulation of elasticity. Look for products that include salicylic acid, as this ingredient really works in penetrating the deep tissue in your pores to purge your skin of any impurities from oil and air pollution. Products for acne prevention are typically slower working, so don’t be discouraged if it takes several weeks for them to really kick in. 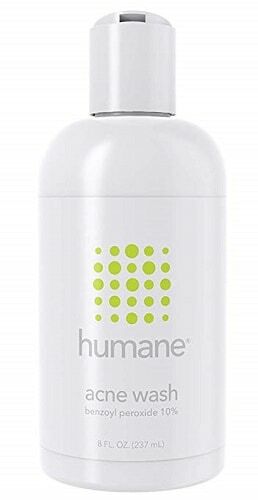 Made with benzoyl peroxide, Humane is an ultimate wash that primarily removes acne. By killing the acne-causing bacteria, it clears the skin and prevents future breakouts. It’s fairly easy to use and all you need to do is apply it to the affected areas and gently massage throughout. It’s recommended to keep it on at least for a minute or more if possible. After the treatment, you should use an oil-free moisturizer. There are a few side effects which occur during the first few weeks of use, such as additional acne, redness, irritation and dry skin. Also, avoid sun exposure as much as you can and use a sunscreen. Treatment can take up to six weeks. Before starting, test the product on a small affected area for at least two days. Because it contains such powerful ingredients, it’s not for sensitive skin. 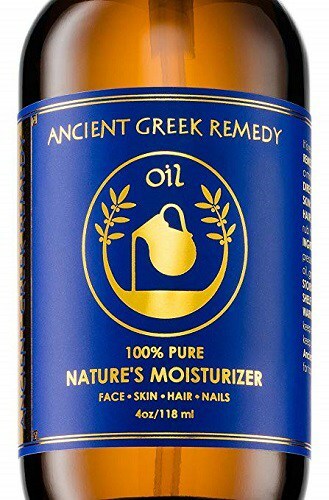 Containing only four natural, raw ingredients, Bliss of Greece is indeed a multipurpose skin care product. It acts as a hydrating skin cream, protects and thickens the hair and makes a great nail treatment. Olive oil firms the skin and helps thicken the hair, lavender oil reduces scalp itch and skin conditions like psoriasis and eczema, almond oil is excellent for treating damaged hair and nails and grapeseed oils provides moisture. It’s quickly absorbed and works great for dry skin, but might not be suitable for oily skin and scalp. The lavender scent is strong but disperses shortly after the application. 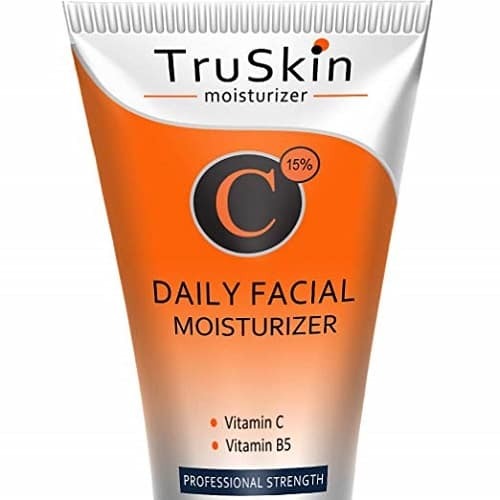 Charged with vitamin C and potent antioxidants, TruSkin Naturals gives skin a healthy and glowing appearance. Along with powerful anti-aging properties, it clears up acne, prevents breakouts and smooths and hydrates the skin. It’s suitable for any skin type and can be used as a daily face cream or a wrinkle cream. It only takes a pea size to apply. Brightness and even skin tone can be seen within a short period of usage. However, before using this product, you should take a patch test to establish if you’re allergic to its ingredients. It’s plant-based and if you are allergic to any of the ingredients, it may cause irritation and breakouts. 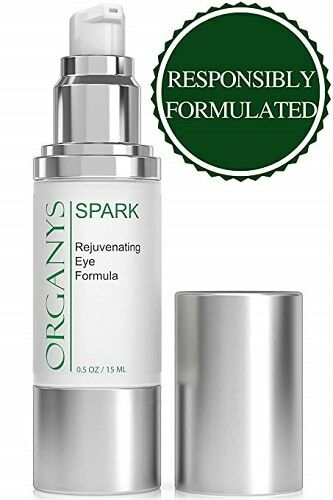 For reducing the appearance of eye bags, Organys combines powerful anti-wrinkle peptides, vitamin C, hyaluronic acid and caffeine. It fills fine lines and lessens the puffiness for a bright and fresh look around the eyes. For the best results, apply it in the morning and evening using gentle, upward motions. It doesn’t contain any fragrances and it doesn’t irritate sensitive skin. Additionally, this product has a four-week guarantee, with the full return. Some of the ingredients may cause an allergic reaction, so make sure you take a patch test before the first application. 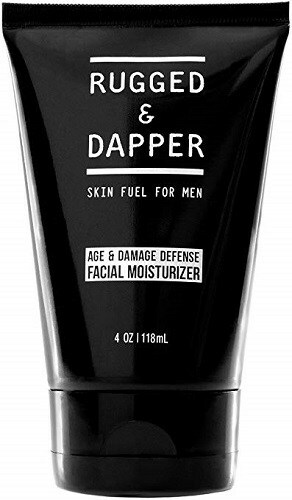 Powerful moisturizer and soothing aftershave, Rugged & Dapper reduces irritation, signs of aging and skin damage. It includes rich and calming ingredients such as botanical hyaluronic acid, aloe vera, jojoba oil and shea butter. Apply it directly on a cleansed face in the morning and evening. It’ll quickly absorb and leave your skin shine-free. The pump is a bit small, so it takes more effort to get the desired amount out of the tube. Even though it’s suitable for oily skin, it might cause breakouts for sensitive skin. 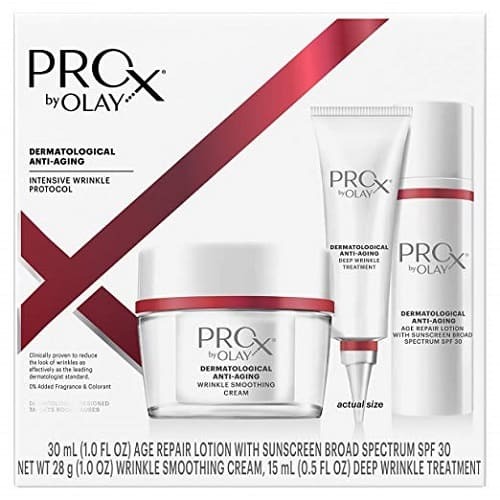 Olay set with SPF 30 lotion, wrinkle smoothing cream and deep wrinkle treatment helps with wrinkles, sun damage and dull and uneven skin. When used together, these three products diminish the appearance of lines and tighten the skin. Products are fragrance-free and quickly absorbed so you can apply one right after the other. They are long lasting as well and one set can last you more than six months. You must be persistent and patient to see the results. It’s possible that there’ll be an allergic reaction if you have sensitive skin, so make sure you test it on a small skin section before using it. To maintain a bright skin look, Brickell Facial Cleanser removes oils and impurities, without drying or irritating your skin. It’s made out of organic ingredients, without any parabens or sulfates. Charcoal cleans your pores, olive oil maintains hydration and aloe vera provides moisture. The cleanser is long lasting, as it takes only a small amount per application. However, the texture is very watery, which makes it hard to apply properly. This product is not recommended for oily skin. Lastly, it doesn’t form foam like most face wash soaps, but it still leaves skin clean and hydrated. 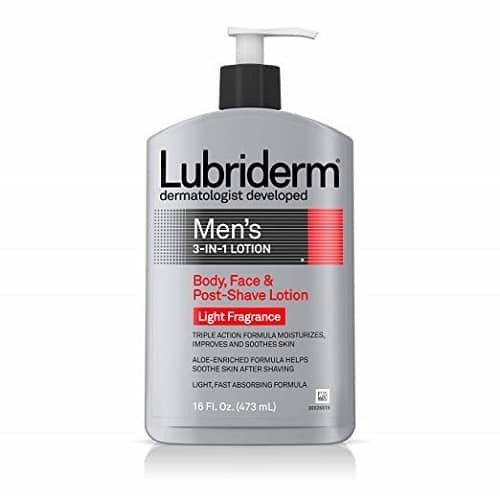 By moisturizing, soothing and improving the skin, Lubriderm can be used as a body, face and post-shave moisturizer. Along with minerals and essential moisturizers, it also contains a soothing aloe vera. It doesn’t leave greasy finish, it’s quickly absorbed and has a light, clean fragrance. The product is easily applied with a small pump. This cream also contains mineral oils, so it may not be suitable for those prone to acne breakouts. Additionally, it can be a bit too aggressive on freshly shaved skin. Herbal extracts and antioxidants in Baxter of California remove impurities and leave your face looking fresh. This toner, apart from removing oils and impurities, prepares your skin for other products, like moisturizer or serum. Some of its ingredients include mint, cucumber and witch hazel. This product doesn’t contain any alcohol and it’s appropriate for normal and oily skin. It works great for irritated skin after shaving. Even though it’s a bit pricey, it comes in an 8 oz bottle so it can last for several months. 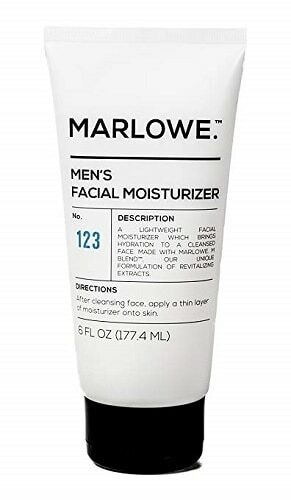 Non-greasy and hydrating Marlowe Moisturizing Cream is a mixture of passion fruit, green tea and willow bark. It’s paraben and phthalate-free and it’s not tested on animals. Apply it after cleaning your face to achieve a hydrated and silky skin. The moisturizer leaves a light, citrus scent and absorbs quickly. It’s pretty long-lasting and you can use one bottle for up to 6-8 weeks. Since it has a lightweight texture, it’s not suitable for dehydrated skin in need of rich, thick moisturizer. Also, it might cause breakouts to acne prone skin. 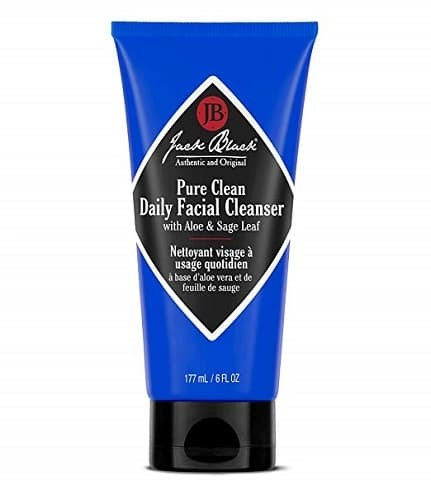 A two in one facial cleanser and toner, Jack Black gently cleanses and leaves a soft, fresh feeling. It contains witch hazel that calms the skin from irritation, sage and rosemary that have antibacterial properties and chamomile and aloe leaf that sooth the skin. To apply it, it only takes a nickel amount on a wet face. It can be used in the morning before shaving and in the evening to cleanse the skin from piled up impurities. It leaves a pleasant and mild scent. However, if you don’t use the moisturizer after the product itself, it can dry your skin slightly. Skincare is a learning process not unlike other hobbies or activities. This is not as straightforward as other grooming habits like using stubble trimmers for beards which require only to learn to trim it. It can seem overwhelming at first, but with practice and consistency, it will become second nature like anything else. When it comes to application, the sequence does matter. A good rule of thumb is to always go in order of lightest product to the heaviest. The first step will always, always be a cleanser. You need to first prep your pores and rid them of any bacteria or lingering dirt. If nothing else, this should be done consistently and daily. If you have a beard, you should cleanse your face after using your best beard soap to remove any soapy residue. This is debated as some feel it is best to perform this step first. No matter what, use this product to further rid your face of dead skin cells. Step 3 – Serums, toner, anti-aging oils, etc. This is the step where you can apply those products that target specific problems, whether it’s wrinkles, lines, discoloration or redness. Last but certainly not least, apply moisturizer to seal everything in and to keep your skin hydrated. Washing your skin dries it out, so applying moisturizer right after is a good way to keep your skin soft and bright. As discussed, there’s a lot to taking care of your skin. 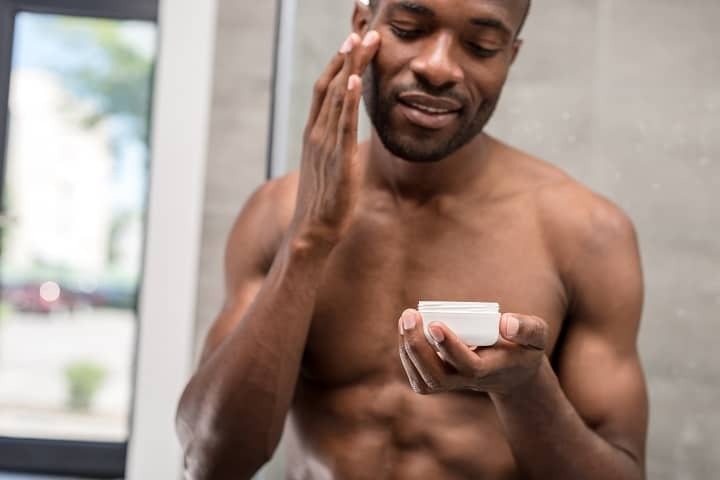 But once you have a solid grasp on your own regimen, you can begin to seek out more products like the best bar soap or products for your skin’s texture and how to make it softer to the touch. Ladies love a man who takes care of his appearance and having clear skin is a major confidence booster. So what are you waiting for? Start planning your new routine today! Photos from: AllaSerebrina / depositphotos.com, belchonock / depositphotos.com and AndrewLozovyi / depositphotos.com.